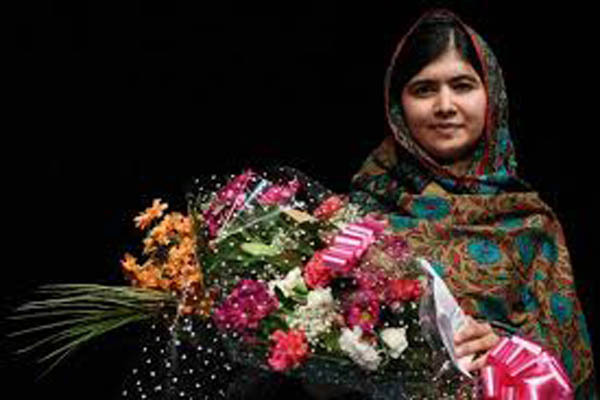 Islamabad(PTI): A visibly emotional Nobel Laureate Malala Yousafzai returned to Pakistan today, saying that she had dreamed about returning home every day for the last five years since she was airlifted to Britain after being shot in the head by the Taliban militants in 2012. Hours after her arrival here, the famed human rights activist met Prime Minister Shahid Khaqan Abbasi at his office here along with some other officials, the ruling Pakistan Muslim League-Nawaz (PML-N) tweeted. “I have dreamed of returning to Pakistan for the past five years,” 20-year-old Malala said with tears in her eyes. “Whether I was in a plane or driving in a car in streets of London, I dreamed of being in Islamabad and Karachi but it was not true But finally I am here and very happy,” she said. She said she had a great desire to move freely in Pakistan. Malala said that she was working on the education of children and wants empowerment of women in Pakistan. “Today, I am very happy that, after five-and-a-half years, I have set foot on the soil of my nation again,” she said in Urdu. “I am now 20 years old, but I have seen a lot over the course of my life. From growing up in Swat – it was such a beautiful place – to then seeing terrorism and extremism from 2007 till 2009. And then seeing how many difficulties women and girls face in our society, and how we can fight against those challenges,” she said. “And then being attacked, leaving my country…Everything was happening itself, I could not control anything. If it was my call, I would never have left my country. The doctors performed surgery on me and saved my life. But then for further treatment I had to go out and continue my education there. But it was always my dream that I return to Pakistan,” she added. Malala left Pakistan after she was shot in the head by the Taliban militants in 2012 for campaigning for female education in Swat Valley. The young activist not only survived the bullet wound in her head but won the Noble Peace prize in 2014. Prime Minister Abbasi in a warm welcome address said he was happy that a daughter of the nation has come to her motherland. “It is your home. Now you are not an ordinary citizen, your security is our responsibility,” he said. He said the entire world gave honour and respect to Malala and Pakistan would also give her the kind of respect she deserves. Abbasi told the Nobel laureate that Pakistan defeated militants after a difficult war since her departure. He said Pakistan has become safe as terrorism has been uprooted. Malala was dressed in Pakistani shalwar kameez and dupatta and accompanied by her mother and father. “Pakistan welcomes ‘Gul Makai’ to her home. We are proud of you. #malalacomeshome,” Foreign Office spokesperson Muhammad Faisal tweeted earlier today. Due to security reasons, her four day-visit and her entire itinerary is being kept secret. It is not known if she will travel to her native Swat where she lived and was attacked while returning from a school in October 2012 when she was 14 years old. At age 17, Malala became the youngest recipient of the Nobel Peace Prize in 2014 for her education advocacy. She shared the prize with India’s social activist Kailash Satyarthi. The United Nations Secretary-General, Antonio Guterres, appointed her as UN Messenger of Peace to promote girls education in April last year.